No, nothing wrong with the vehicle. Two phone calls changed our itinerary. One from the lodge where we were going to stay saying that they were suddenly expecting up to six inches of snow and we may not be able to get up to the 3,000 feet altitude where the lodge was located. We decided we would go anyway. We figured we could stay in Johnson City, TN, and drive up the next day after they cleared the roads. Then another phone call: the mother of the counselor/life coach we were going to meet with fell ill and he had to travel to another city to be involved with funeral and funeral plans. So we only made as far as West Virginia. How exciting! We decided to stay at a Hampton Inn on Sunday night. We didn’t like it, which is rare — there is a hardly a Hampton we haven’t liked. So on Monday morning we checked out, not knowing what we were going to do. We drove to the historic part of Marietta, OH, and from a distance I spotted a hill. I wanted to get there. I told my wife, “Maybe we will find a nice bed and breakfast up there.” We came back to the car, changed our shoes and trekked all the way to the top of that big hill. And the first house we saw was a beautiful Victorian home over a hundred years old. 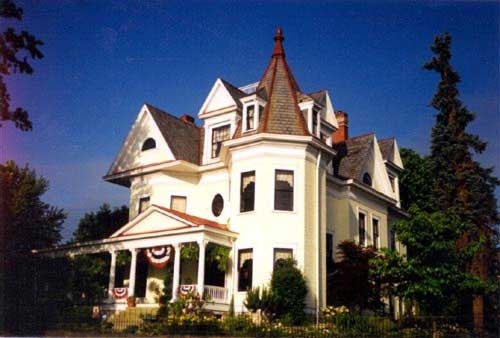 We decided to check it out and found ourselves inside this magnificent property which houses The House on Harmar Hill, a beautiful, affordable, stress-free bed and breakfast in a totally unexpected place. We walked back to our car, had a nice dinner, and returned to spend the night in this splendid place. We loved it. The next morning, we enjoyed a lovely breakfast, got in the car, and drove home. End of lesson. On Wednesday, I was back at work. But I did manage to keep my phone and computers off most of the time. And I enjoyed the times of solitude and the walks with my wife. Vacation will have to wait. Life cannot. We are now looking for another life coach/counselor. Preferably one a little closer to us in Wooster. Meanwhile, I will just have to come up with other ways to show off my new car.